The Sweet Dreams Josie Bunk bed offers a contempory styled bunk bed with rounded heaboard and footboards and more central upright posts as well as a centre ladder to give it a distinctive look. 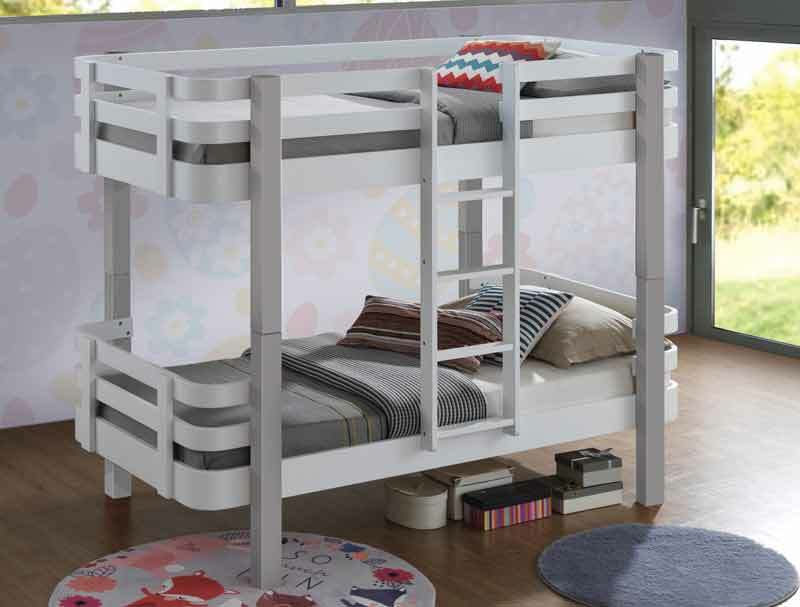 The Josie bunk bed is also available in 2 colourways White with Oak colour timber posts or White with Grey timber posts , The frame is a standard uk size so will take a 90 x 190cm size mattress not included , but available as an option. 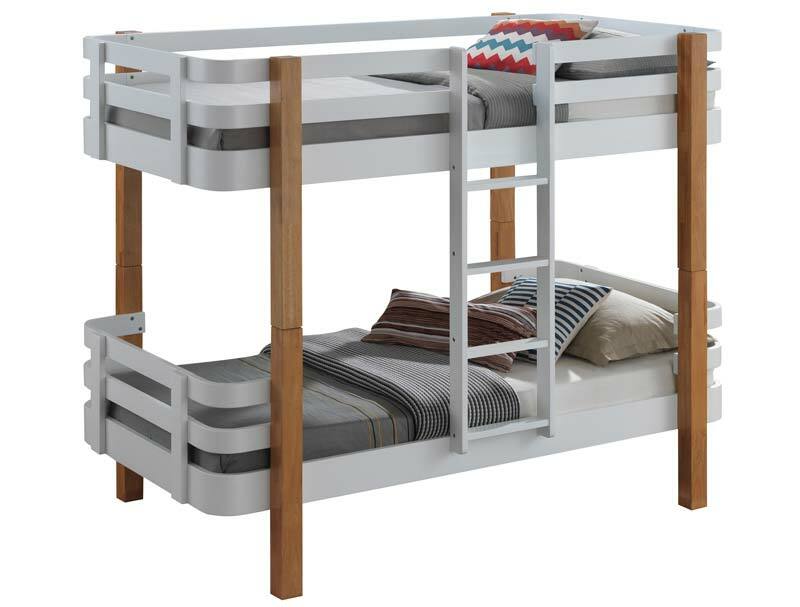 The bunk bed is made from rubberwood and comes with solid wood slats , it is delivered frlat packed for home self assembly. Delivery is free of charge to most areas of England , Wales and Lower scotland in 7 working days , however Central and scottish highlands, LL, Sa and some Tr postcodes will incur a delivery charge and a extended delivery timescale.